As a trucker you heard about Rand McNally’s famous GPS systems. Now Rand McNally the country’s most trusted source for maps, travel content, and navigation is entering the eld devices market. Lets review the Rand McNally ELD device from top to bottom and find out why it is among the leading eld devices. OverdryveTM connected-car device, HD 100 E-Log and TNDTM truck GPS. In addition, the company offers some leading region-based educational resources. After a long wait, Rand McNally’s revolutionary elog system is finally here! Below you can find its comprehensive and complete review. 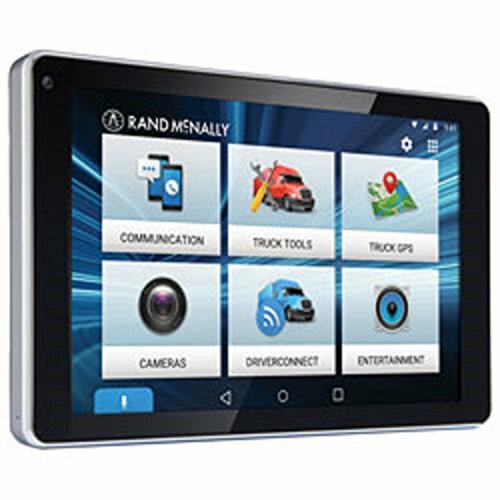 Our thorough research has revealed that Rand McNally has so far launched two major products. The Rand Mcnally ELD 50 is the preferred choice of professional drivers, because of its reliability and ease of operation. On the other hand, DC 200 is a product, which is designed to be able to meet the compliance regulations and requirements, while at the same time it is the perfect budget solution for small and medium size truck fleets. Rand McNally has continuously been able to develop trusted and innovative products, so as to facilitate your journey from one place to another. The company’s mission is to enhance every driver’s individual experience on the road with the vast array of Rand McNally’s ELD devices. The portfolio of their services includes, but is not limited to: solutions for long-haul truck drivers, devices for car commuters and delivery businesses. To all of them, Rand McNally is ready to provide truly revolutionary automotive technology. Last but not least, the company provides an impressive variety of electronics, which keeps you connected to the internet and facilitates your communication with your colleagues and supervisors. Whether you are on the road or having a rest at a roadside parking, you can rely on Rand McNally’s electronics. The electronics can fit your RV, car or truck, and in most cases include cameras plus monitoring. The Rand’s web portal is the area where you are able to store your data, e-logs, driving hours, technical reports, pending inspections, etc. In addition, Rand McNally has two different web portals. Because the portals are not connected, data cannot be mined or synchronized together. But that’s not all. Rand has its own web portal called the DriverConnect. It is mostly used to upload information such as, for example, Hours of Service, plus any other truck data depending on the service plan of your choice. As mentioned above, the Rand McNally ELD devices include the ELD 50 and DC 200 among others. we will be looking at these two in greater detail. Rand McNally announced its new DC 200 cellular electronic logging and fleet management device, joining the ELD 50 in the company’s DriverConnect product lineup. The DC 200 promises to be the indispensable mate of every professional driver. It allows drivers to view and certify logs, change duty status and complete DVIRs through their own tablet, a smartphone or iOS phone. This solution is offered in champagne, gold and matte silver colors. It has light on its top which changes its color, thus indicating different functions. When the light turns green, this shows that it’s successfully connected to the app. To show that an over the air software update is taking place, the color changes to blue. In the event that it’s booting up, it will flash red and green colors. DC 200 delivers many different electronic logging and fleet management options. Moreover, the device’s versatility is complemented by its low-profile and sleek design. This ready-to-use solution takes a few minutes to install and the whole process is intuitive. All you have to do is plug it into the JBUS diagnostic port of your motor vehicle through the use of a Y cable. With the DC 200, there’re no complicated installation requirements and confusing steps to follow. The whole process is a breeze! In most general terms, the DC 200 is a low-profile 5-inch long device that works with both the 6 and 9 pin ports. Designed with versatility in mind, it also works with the type 1 plus type 2 ports. 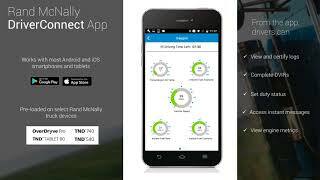 The Rand McNally DriverConnect app turns the day-to-day management of electronic logging information into a really easy task. Once uploaded into the app, the information is easily accessible through the driver’s iOS or android-based mobile device. It is also preloaded on devices provided by Rand McNally. The DC 200 has a built-in modem; therefore, drivers do not need to rely on their phones for data transfers. At the same time, fleet managers are able to access HOS reports and track multiple vehicles in real time, and so much more! Generally speaking, the app replaces paper logs, providing a user-friendly interface where you can do pretty much whatever you want. For example, you are able to certify or view logs. When you connect to the internet, the Rand McNally DriverConnect App syncs the web portal of Rand McNally. Once you are in the portal, you are able to view, print and store E-Log history up to 6 months back, as required by the law in most states. But the portal’s functionality does not end with the above mentioned functions. Rand McNally’s portal also allows you to view truck location and vehicle status. This last function depends on the service plan of your choice. 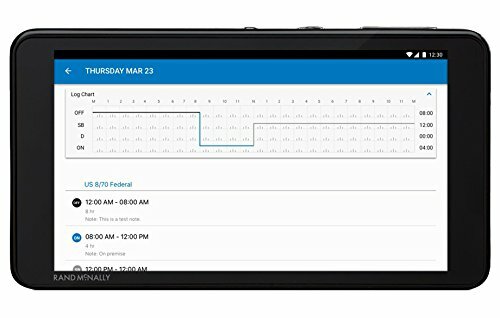 One of the best things about this ELD device is that it allows the driver to customize their dashboard, so that they have their preferred gauges and metrics at a glance view. The DC 200 by Rand McNally costs $399.99 and will be available across the USA in the last month of 2018. The company offers a basic compliance plan for just $24.99 per month and a more advanced one for $29.99 per month. Needless to say, the more advanced subscription option provides a number of cool extra features. The Compliance Plan provides HOS, DVIR, track and trace and new messaging with multi-device support. The Core Plan has all the features and adds IFTA fuel tax reporting and forms-based messaging in workflow management. It is important to note that the DC 200 also offers a few useful features more, such as: messaging that takes place between drivers and the fleet managers. 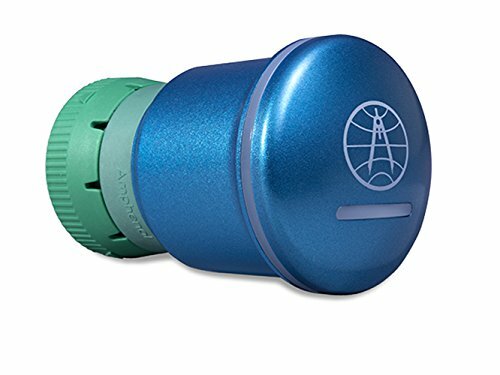 This device also provides IFTA fuel-tax reporting and forms-based messaging, plus workflow management. The cloud-based DriverConnect system was built using a scaleable infrastructure, which allows easy integration with other transport management systems. Rand McNally DC 200 is able to receive push software upgrades over the air, as soon as updates are released. This is so because the device has cellular connectivity. The Android app is free thus enabling drivers to test drive the product. To do this the driver should first download the application and then manually input their status. When reports are ready, they can easily be turned into PDF files and exported. Rand McNally DriverConnect app can be obtained from the Google play store, or the Rand McNally market place. This is because, it is made for Rand McNally’s Android Plus tablets. The ELD 50 is the first electronic logging device which allows drivers to use Android devices so as to view their logs. It also provides access to Hours of Service and Driver Vehicle Inspection Reports (DVIR) logs through the Rand McNally DriverConnect web portal. Last but not least, it installs in seconds under the dashboard of your vehicle. The ELD 50 opens a world of new opportunities for the professional drivers, who are looking ways to comply with the ELD mandate. How To Get Started with ELD 50 ? To start using your ELD 50, just plug it into your truck’s diagnostic, port which is located right below the dash. Given that it is just 3 ¼ inches long, this first step should not be very difficult. Once you install it, you can use the device to send Hours of Service data to any complimentary Rand McNally DriverConnect app. In addition, drivers are able to view DVIR documents and HOS logs through a Bluetooth connection. Moreover, the app provides ten engine-driven gauges, based on the information obtained from the ELD 50. The monitored gauges are as follows: coolant temperature, pressure boost and average fuel consumption. 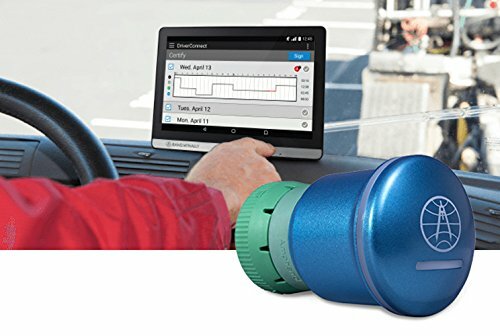 As soon as ELD 50 is conveniently plugged into the diagnostic port of your truck, it starts communicating with the Rand McNally DriverConnect portal over the Internet. ELD 50 can also communicate via a Wi-Fi connection and is priced at just $149.99. You can buy it from any truck center, or online. With the ELD 50, you can rest assured that you are in full compliance with all of the federal requirements. This device is an all-inclusive compliance solution, which is designed to meet the driver’s budget. The app is able to sync automatically with the provider’s web portal using Wi-Fi. Thus, you can rely on ELD 50 to provide up-to-date reports whenever you need them. Rand McNally provides the most convenient pricing plans on the US market. It has an upfront cost of $550, but it does not include navigation. The fact is that most small fleets that can do without GPS navigation just as well. This being said, it provides many great features for drivers that boost fleet efficiency a great deal. The price of the unit will come up to $650 to $700 up front when navigation is added. As to the monthly service fee, it may vary, depending on the features that you may want to take advantage of. There are Electronic Logging Devices which do not have a lot of features. It is more or less barebones and it costs just $20 per month. An E-log with a basic plan which includes messaging services is $30 per month. There is also the enterprise plan which costs $ 40 per month and includes some advanced features. These include critical event reporting and scorecards, among others. Rand also offers a lease option. Instead of paying the upfront price, you pay $52 to $62 per month. This is for a bundle which entails the device plus the service plan. First and foremost, this device has an electronic driver log and provides electronic vehicle inspection reports. It also facilitates fleet communication by supporting cellular and Wi-Fi connectivity. Because this is a truly versatile ELD device, it has a USB port for hooking up a keyboard or a mouse. Thus, it can issue HOS alerts and warnings for the drivers. Which advantages do we get? Rand McNally’s ELD devices also provide driver and vehicle performance monitoring, plus a substantial number of fleet navigation options. The advanced navigation options include turn by turn voice guidance for the upcoming maneuvers and immediate automatic re-routing, in case the driver misses a turn. The truck specific routing is optimized for your truck’s width, height, load type and weight. The system also warns you about upcoming sharp curves and speed limits. The List goes on with a search function that help drivers find 24/7 repair centers, dining options, overnight parking or any other points of interest. This ELD device comes with a number of enhanced fleet communication options that greatly improve its performance. These options enable the drivers to create frequently used email templates via the form-based message builder. You can also send any PDF attachments with permits, terminal maps or company documents from the back office. In addition, Rand McNally’s workflow application optimizes dispatch operations while the list of fleet visibility options is also quite impressive. It includes comprehensive fuel reporting and route geofencing that eliminates out of route driving. Moreover, the system proactively addresses vehicle maintenance issues whenever vehicle fault codes pop up and provides comprehensive driver performance reporting. The list goes on with arrival and departure notifications and a satellite map view. This mode detects nearby vehicle proximity in order to help maximize dispatch efficiency. The system automatically sets fleet configurable speed limit, so as to encourage safe driving. It also notifies fleet managers about critical events such as hard starts, stops or braking. This is an important function, because such incidents are indicators of unsafe driving practices or possible road accidents. This ELD device provides a number of useful fleet compliance options that deserve our attention. These include anytime access to the HOS data that is stored for up to 8 weeks on the Rand McNally connect web portal. The system also indicates the available driving hours and duty times and provides simple log certification and correlation. This means no more paper logs, because the Hours of Service reports are prepared automatically. Comes with a single cable plug in into the truck’s diagnostic port. There are some reports on hardware problems and software bugs. ELD are mandatory for all motor vehicles driving in the US that have E-Logs. As a fleet owner, manager or an individual car owner, you need an E-Log device, so as to be on the right side of the law. Therefore, Rand McNally E-Logs are the best option, especially for fleets which are budget minded. Apart from the features that these ELD devices provide, they do not require any preliminary technical knowledge, so as to complete the installation process. If you need to get rid of them and switch to a different ELD provider, the removal process is just as easy as the initial setup. From what we could find out, Rand McNally is one of the most trusted names, when it comes to ELD device providers in the USA. Their efficient and responsive customer service representatives are ready to help you whenever you may need some assistance with the hardware or the software. Live 24/7 customer support is available with Rand McNally’s advanced subscription plans. Basic plan users can rely on email support and online FAQ sections and forums.